Not everybody who’s an athlete wears a hawks jersey. 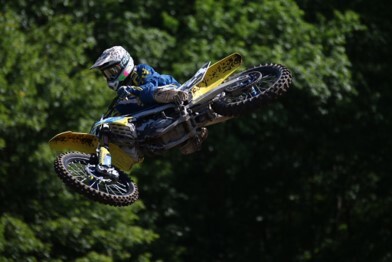 Motocross has interested students from the Hawk’s Nest, a sport demanding a lot of time to train and prepare for races. To compete within a race Rassa says, “you must be on top of everything” to allow for good placing, once mistake can ruin your whole race. Rassa said that “fitness and even mental stability” are huge aspects within this sport. The sport has also affected Rassa in negative ways. “Injuries are always there, it’s not a matter if it will happen, it’s when will it happen.” Over the years Rassa has experienced many injuries such as broken fingers, a broken collarbone, a broken heel and ankle. Most recently Rassa got his worst injury yet, breaking 4 ribs with a ruptured spleen. Rassa says this was by far his worst injury yet because he could have “bled out internally with nothing to do to help it.” Rassa adds that luckily the bleeding clotted a few weeks later. Rassa has began his long road of recovery. Despite the challenges that come with racing Rassa says that it is all worth it, especially coming home with a big win.